Gunning was born in Newmarket, New Hampshire. He attended Boston College and the College of the Holy Cross before making his professional baseball debut on July 26, 1884, as a catcher for the Boston Beaneaters (later the Braves). 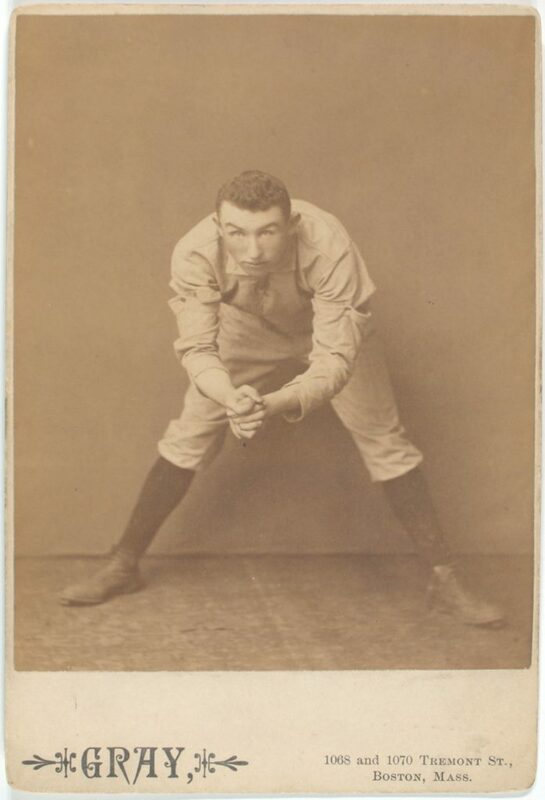 Before his baseball career ended in 1889, Gunning also played with the Philadelphia Quakers and the Philadelphia Athletics. After retiring from baseball, Gunning attended Penn’s medical school, graduating in 1891. He left no record of participating in sports while a medical student. From 1905 until 1907 Dr. Gunning served as both medical examiner and city physician of Fall River, Massachusetts. He was also involved in many medical societies. He died suddenly of heart disease in 1931.